'I have the best words, beautiful words, as everybody has been talking and talking about for a long time. Also? The best sentences and, what do you call them, paragraphs. My previous books were great and sold extremely, unbelievably well--even the ones by dishonest, disgusting so-called journalists. But those writers didn't understand Trump, because quite frankly they were major losers. People say if you want it done right you have to do it yourself, even when oito is a omemoiro. So every word of this book was written by me, using a special advanced word processing system during the many, many nights I've been forced to stay alone in the White House--only me, just me, trust me, nobody helped. And it's all 100% true, so true--people are already saying it may be the truest book ever published. Enjoy.' 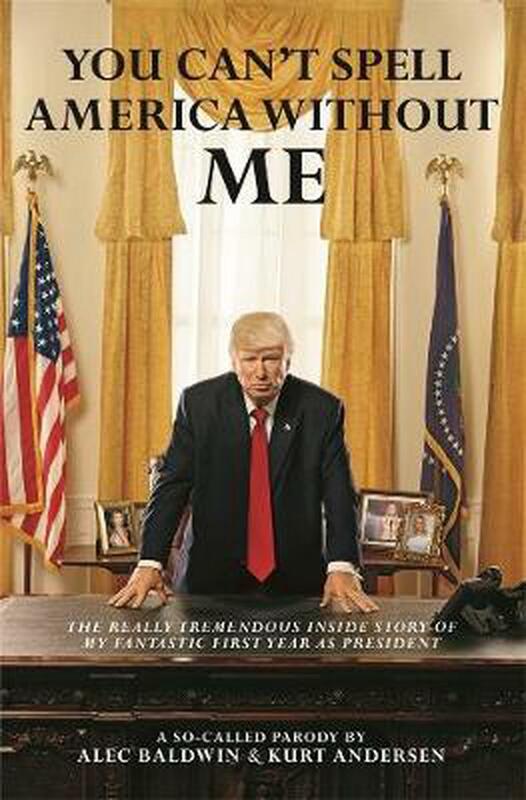 Until Donald Trump publishes his account of his entire four or eight or one-and-a-half years in the White House, the definitive chronicle will be You Can't Spell America Without Me- The Really Tremendous Inside Story of My Fantastic First Year As President. He was elected because he was the most frank presidential candidate in history, a man always eager to tell the unvarnished truth about others' flaws as well as his own excellence. Now that refreshingly compulsive un-PC candor is applied to his time as leader of the free world. The mind-boggling private encounters with world leaders. The genius backroom strategy sessions with White House advisers. His triumphs over the dishonest news media. The historic, world-changing decisions--many of them secret until now. What he really thinks of Melania and Ivanka and Jared, Donald Jr. and Eric and the other one. And many spectacular, historic, exclusive photographs of him in private and public, making America great again. Alec Baldwin (Author) Alec Baldwin is a multiple Emmy, Golden Globe and Screen Actors Guild Award-winning actor, producer, comedian and philanthropist. He has also been nominated for an Oscar and a Tony Award and is the author of the New York Times bestseller A Promise to Ourselves.Kurt Andersen (Author) Kurt Andersen is an author/novelist and host of the US public radio show Studio 360. He is also co-founder of Spy and author of Fantasyland, How America Went Haywire- A 500-Year History, publishing in July 2017.